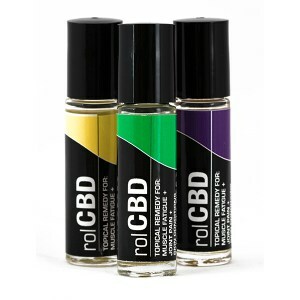 rubCBD & rolCBD includes only organic, full-spectrum, CO2 extracted, third-party tested, hemp-derived CBD! Formulated by our Chief Science Officer, a board-certified toxicologist and pharmacologist! Highly effective, and quality assured! Available in a variety of strengths to best meet your needs! Includes 19 proven remedies for targeting pain and inflammation, plus additional natural skin moisturizers and vitamins! Organic, full-spectrum, hemp-derived CBD oil, combined with organic terpenes, in either a shea butter-based (rubCBD) or an MCT oil-based (rolCBD). Our rubCBD and rolCBD are topical analgesics, each of which contains 19 proven remedies for targeting inflammation and pain, plus additional skin moisturizers and vitamins. Our proprietary blend of terpenes provide their own therapeutic, and anti-inflammatory effects, but they are also skin penetrants, meaning they maximize the effects of our active ingredients! Available in three fantastic options – an invigorating wintergreen, a calming lavender, and unscented. Our wintergreen scent is not intended for persons under the age of 12. 1oz with 50mg of CBD, and 3oz. with 150mg of CBD. 10mL with 25mg of CBD. 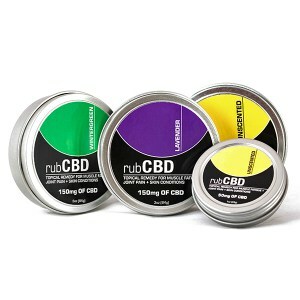 Both the rubCBD and rolCBD are perfect for mild to moderate muscle fatigue, and joint pain. Our proprietary blend of terpenes and plant extracts are anti-inflammatory, and aid in penetrating the skin. They also work synergistically with the CBD for enhanced relief from pain and inflammation!